It is most unfortunate that the government had once again, chosen to use the law to limit the expression of people’s intellectual capabilities. It is perhaps ironic that as Singapore moves into the knowledge economy, that the exchange of information is being constricted and curbed. Such is the irony that the growth of Singapore rests upon. Yet, if one were to understand the dichotomy that the foundation of Singapore rests upon, one would very easily be able to discern that the pattern of working that the government operates upon rests in a constant negotiation between democracy and capitalism, or rather, the superficial promotion of democracy for the propagation of capitalism. First off, Singaporeans, we’ve got one thing right – the government is scared. The main reason that the government is up in arms is because it knows that Singaporeans might finally have a way to weaken the government’s hegemonic control over Singapore and the people. In its haste to slight the Internet as being irrelevant in the past, the government passed over the regulation of the Internet, only to realise now that the Internet will, and has become the change of things to come. The Internet can change governments. The Internet can change power. It is, of course, too late for the government to realise this by now, for if the government were to impose regulations or restrictions on the Internet, the sophistication of Internet users in Singapore will necessarily not only block attempts by the government to do so, but would result in a larger confrontation than the government would willing to deal with, without jeopardising Singapore’s stability and economy. Fortunately, or not, the government is caught in a conundrum. In the days of fore, where there were clearer governing institutions, the government devised ways to control these institutions and the law was used to check the powers of these institutions, in accordance with the government’s wants. In 1963, the government arrested opposition party members and union members in Operation Coldstore under the Internal Security Act (ISA), which crippled the opposition parties and unions, other than the current NTUC, which had supported PAP. The government was also highly suspicious of university students from Nantah University who had stood as opposition party Barisan Sosialis candidates in the 1963 elections. Nantah was eventually shut down and merged to become the National University of Singapore, which arguably is more restrained towards the government. The government thus effectively controlled the key estates of governance, and continuously used the law to keep these estates in check. Opposition politicians were sued for defamation and made bankrupt. University lecturers could also be sued or denied tenure. News agencies were sued and journalists could similarly lose their jobs. As the people, by themselves, posed no threat since they could not form any visible institution by themselves, it wasn’t necessary to use the law against the people, then – there was no visible “crime”. Of course, to claim that the people were spared would be erroneous since several times, the people were also arrested under the ISA, on the pretext of being ‘communist insurgents’, even as this might not be proven. Thanks to international uproar against Operation Spectrum in 1987, where 22 people were arrested under the ISA for ‘attempting’ to “subvert the existing social and political system in Singapore, using communist united front tactics”, the government took a break from using the ISA on the people until the ‘terrorist’ attack in 2001 on America where the government reinstated the use of the ISA once again. On the overall, the people were largely left to their own devices, even as they began to flood the Internet to voice their disdain for the government’s control. Initially, the people were disparate elements who could hardly constitute a large enough strength for the government to believe that they would pose a threat. However, even in the disorganisation of the people, the “noise” that PM Lee Hsien Loong had labelled clearly brought a certain momentum which had finally caused the government to believe that it shouldn’t have left the Internet unregulated. Several suggestions by the government to regulate the Internet has been struck down fast and furious by netizens, which effectively curbed the government’s ability to enact any law to restrict the people’s voicing of their opinions online. However, it is possible too that behind the scenes, the government might be exploring or even implementing ‘soft’ approaches towards managing online commenters. Which explains why the government is now shifting gears and using the law more sparingly to target individuals, instead of institutions or groups of people. If the government isn’t able to implement a law to control the Internet which is increasingly becoming a modern-day estate of governance as well, the government has decided that it would instead use existing laws to impose on the rights of individuals. Whereas the law used to be used against traditional estates of governance, such as against opposition politicians, news agencies, journalists and academics, the law is now being extended for use against the people. 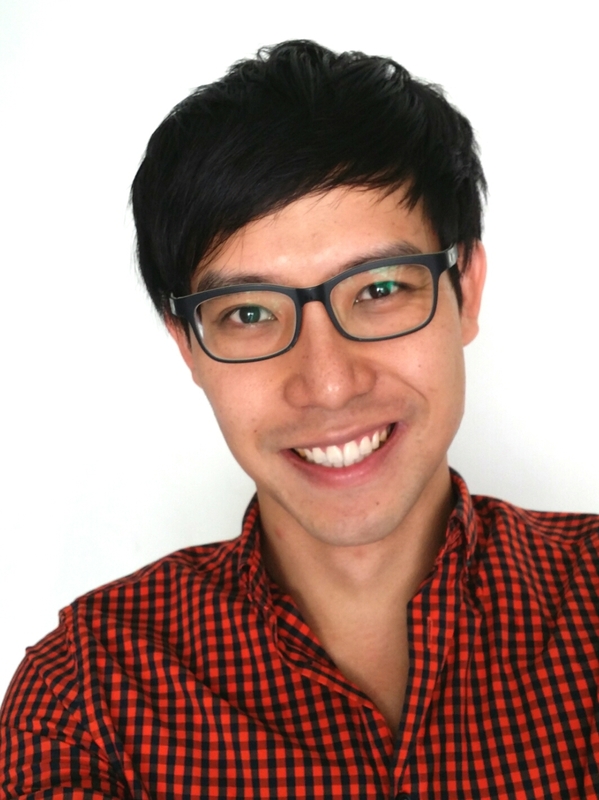 This year, online blogger Alex Au was threatened with the defamation law but he compiled with the lawyers’ demands and prevented a confrontation in the courts. 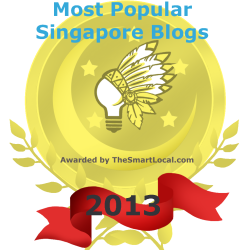 Of course, there are hundreds of online bloggers and thousands of online commenters in Singapore. Why was Mr Au targeted in this ‘witch-hunt’? First, before the government finally realised the need to take the Internet seriously, online bloggers were also mentioned in mainstream media, thus Mr Au’s blog Yawning Bread had become well-known and well-read by Singaporeans. Second, as the government needed a symbolic sacrificial lamb, it would make more sense to sacrifice a blogger that Singaporeans already know than to identify an online figure which Singaporeans are not as familiar with, which would then help bring cult status to this individual, which is precisely what the government doesn’t want. Which is why it’s perplexing why the government had chosen to arrest the cartoonist of Demon-cratic Singapore, if their aim was to systematically ignore the presence of online personalities in mainstream media. Of course, things have taken a different turn now. It is likely that the government, which has been caught off-guard by the pervasiveness of the Internet and feels vulnerable, is simply using every rule in the book that it has and testing it each one out on individual Singaporeans to evolve a new way to control Singaporeans. Thus the government is haphazardly using different laws on Singaporeans – as Alvin Ting had collated on his Facebook status update – defamation, sedition and contempt of court. More importantly, the government has gone into attack mode – on top of the non-coverage of online personalities in mainstream media, the government is now moving in to break up the formation of online communities by eliminating online key influencers – 斩草除根. Yet, even so, there is a fine line that the government knows it has to balance. You can start suing Singaporeans, but what are the implications if they are deemed ‘guilty’ by the government? Will a nation that is enraged by political injustice be sympathetic towards the ‘criminal’ and will they develop further wariness and antagonism towards the government? Will the government then isolate itself further? Sure, the government could and had used the ISA against Singaporeans, by fear-mongering Singaporeans into believing that these Singaporeans who were arrested had posed a threat to national security and should be caged. But if the government singles out individual Singaporeans whom most other Singaporeans believe are simply practising an individual right that should be conferred to them under democracy, and which most Singaporeans couldn’t bat an eyelid about, would Singaporeans be willing to buy into the perceived high-handedness of the government? It would be quite unlikely that the government would succeed in tempering ‘dissent’, if so. Thus for now, the government’s approach is to ‘threaten’ individuals with lawsuits to act as a symbolic act of deterrence, rather than to actually ‘sue’ the individual, which would indefinitely backfire on the government. The government’s hope would be to taunt these individuals into censoring themselves or to deter other individuals from speaking up. Will this work? To some extent, perhaps. But in the first place, if these individuals were to be willing to step up to fore and commit hours into writing and designing articles and postings for discussions, would these individuals simply back down to such uncouth attacks? They would have thought through carefully about the circumstance surrounding their involvement and would have the conviction to uphold their beliefs, and fight it through. At this moment, whatever moves both sides make will naturally tip the balance very easily, and more likely than not, in favour of Singaporeans and putting the government at a disadvantage. It would be wise for the government to thread carefully. Yet, the government seems to want to end this ‘resistance’ more hastily, knowing that if it doesn’t, resistance could accumulate and boil over, they think. Yet, even as the government does so, this will only speed up the rate of resistance build-up anyway. The government would have calculated that if they had paced themselves more slowly, this would give people the time to consolidate and organise themselves and they would have thus decided to cut to the chase, in the hope that the people do not yet know how to consolidate themselves. In any case, however fast or slow the government acts to counter the ‘resistance’, this would only backfire on the government. What the government doesn’t realise is that what it needs to do is not to counter perceived imbalances externally, but to modify internally, their blind hardiness, within themselves. In the next part of this article, I will discuss how the government is is hoping to replicate successful online community-building strategies onto existing physical and political structures to solidify their control over the people. You can read part 2 here. It is always good to be able to hear about alternative views about the government but at the same time, we could perhaps attempt to understand why they are being so hard each and every time….